Experience 20,000 square feet of spa bliss. Enjoy a soothing dip in the Mineral Pool. Relax in the warmth of a spa treatment. 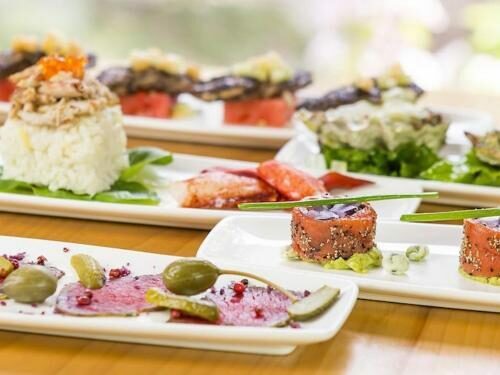 Indulge in Endless Tapas Dining at the Treetop Tapas & Grill. Retire to your guest room rejuvenated and restored! Spa Reservations: To ensure your preferred spa treatment, date and time are available, advanced booking of 4-6 weeks is recommended. Request your SPA RESERVATIONS here! 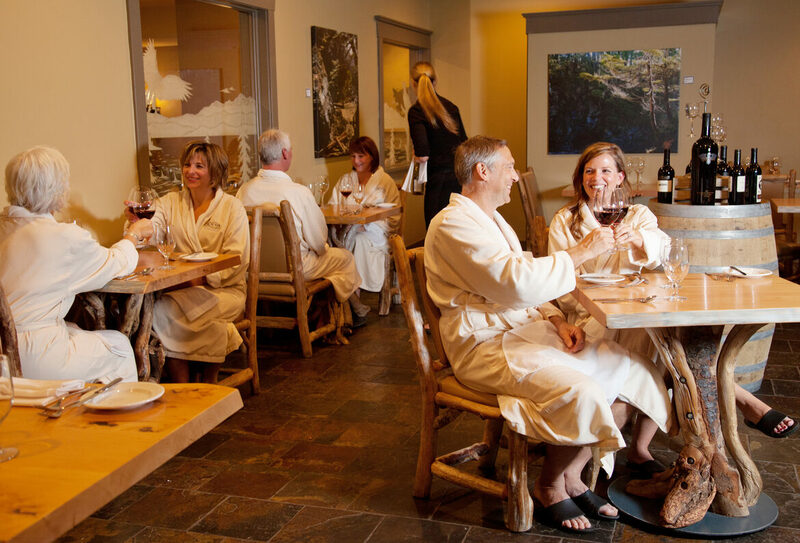 The Grotto Spa is home to a dining experience unlike any other in Canada. The Treetop Tapas & Grill is reserved exclusively for robed spa guests. Located on our 3rd floor overlooking the surrounding forest, you will be treated to an Endless Tapas offering. A progression of menu items created by our chef allows you to savour a wide variety of tastes. With fresh local seafood, spa-inspired anti-oxidant cuisine and delectable desserts, this is an intimate dining experience you won’t forget!